A group of M1 Abrams Main Battle Tanks assigned to the 1st Battalion, 68th Armor Regiment, 3rd Armored Brigade Combat Team, 4th Infantry Division, are on display as part of a welcome ceremony, unit colors uncasing and live fire demonstration at Karliki range, Zagan, Poland, Jan. 30, 2017. The ceremony welcomed American Soldiers from 3rd ABCT, 4th Inf. 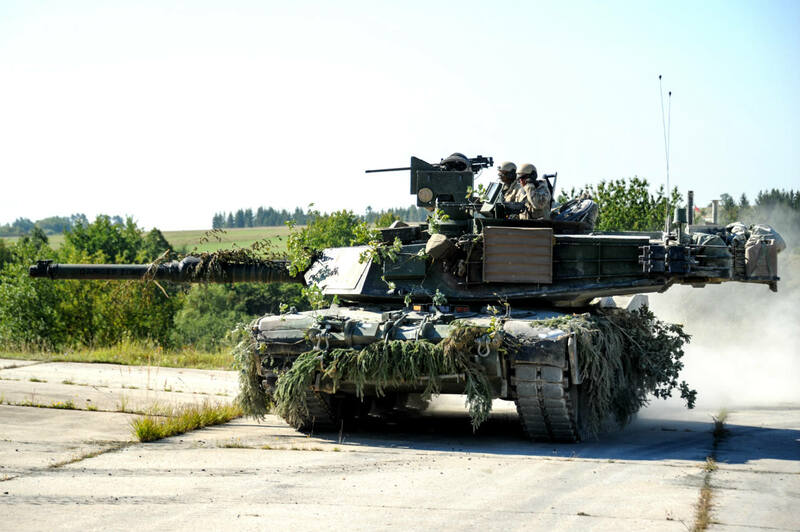 Div., to Poland, and also featured the first live fire training exercise between the two nations. U.S. Soldiers assigned to the brigade are conducting realistic live fire training to prepare for exercises across Europe, as part of Atlantic Resolve. 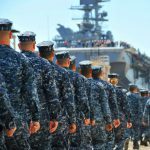 The future exercises will enhance deterrence capabilities in the region, improve the U.S. ability to respond to potential crises and defend allies and partners in the European community. A group of M1 Abrams Main Battle Tanks assigned to the 1st Battalion, 68th Armor Regiment, 3rd Armored Brigade Combat Team, 4th Infantry Division, are on display as part of a welcome ceremony, unit colors uncasing and live fire demonstration at Karliki range, Zagan, Poland. 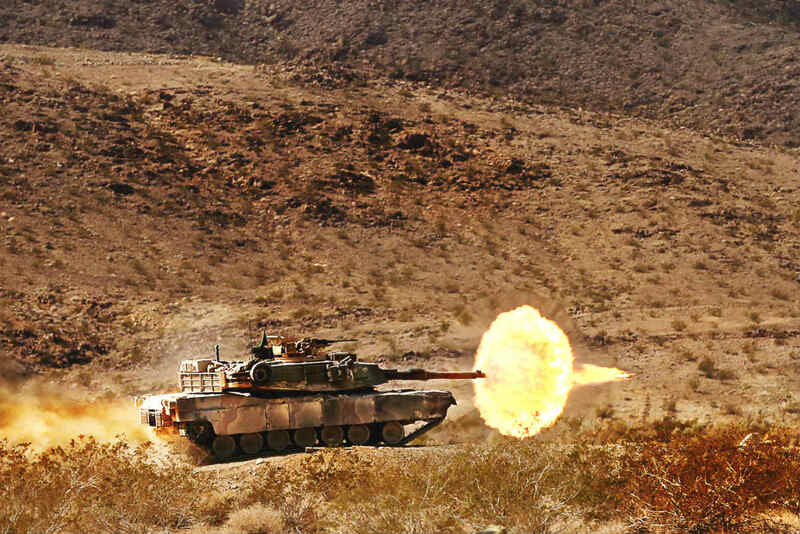 These battle tank images were photographed by military veterans and service members. 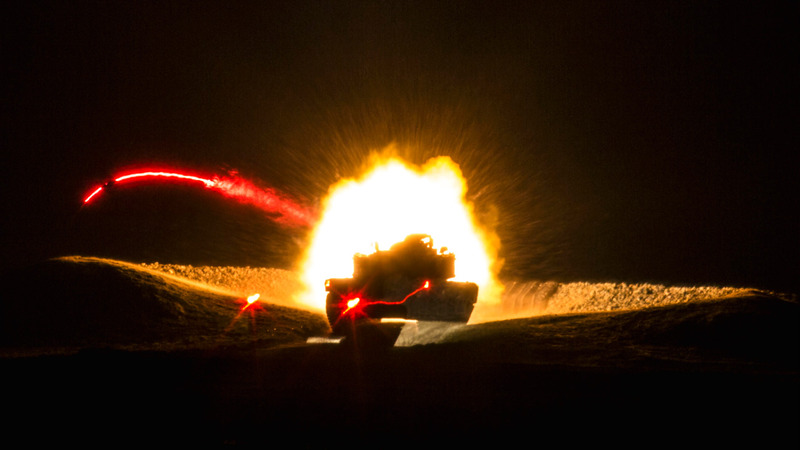 A U.S. Army tank crew, 1st Battalion, 68th Armor Regiment, 3rd Armored Brigade Combat Team, 4th Infantry Division, fires a round from an M1A2 Main Battle Tank during a Live Fire Accuracy Screening Test at Presidential Range in Swietozow, Poland, January 16, 2017. The arrival of 3rd Arm. Bde. Cmbt. 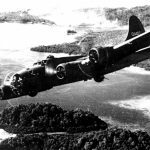 Tm., 4th Inf. Div., marked the start of back-to-back rotations of armored brigades in Europe as part of Atlantic Resolve. The vehicles and equipment, totaling more than 2,700 pieces, were shipped to Poland for certification before deploying across Europe for use in training with partner nations. This rotation will enhance deterrence capabilities in the region, improve the U.S. ability to respond to potential crises and defend allies and partners in the European community. U.S. forces will focus on strengthening capabilities and sustaining readiness through bilateral and multinational training and exercises. 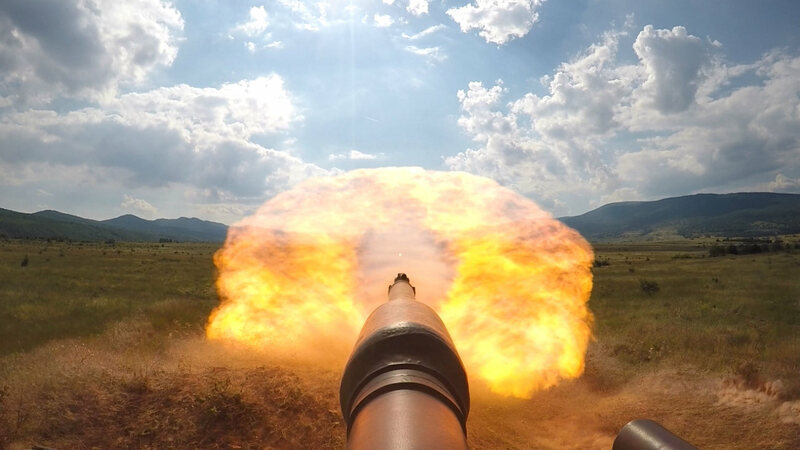 A U.S. Army tank crew, 1st Battalion, 68th Armor Regiment, 3rd Armored Brigade Combat Team, 4th Infantry Division, fires a round from an M1A2 Main Battle Tank during a Live Fire Accuracy Screening Test at Presidential Range in Swietozow, Poland. An 11th Armored Cavalry Regiment Main Battle Tank surveys the battle field during Rotation 17-03, at the National Training Center, Jan. 20, 2017. T The purpose of this operation was to challenge 1st SBCT, 25th ID, to defend an urban area while also defending against large scale, peer-to-peer attacks in multiple areas. An 11th Armored Cavalry Regiment Main Battle Tank surveys the battle field during Rotation 17-03, at the National Training Center. A Italian soldier leads an Ariete tank towards the firing range, during the Strong Europe Tank Challenge (SETC), at the 7th Army Joint Multinational Training Command’s Grafenwoehr Training Area, Grafenwoehr, Germany, May 12, 2016. The SETC is co-hosted by U.S. Army Europe and the German Bundeswehr, May 10-13, 2016. 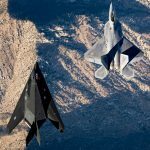 The competition is designed to foster military partnership while promoting NATO interoperability. Seven platoons from six NATO nations are competing in SETC - the first multinational tank challenge at Grafenwoehr in 25 years. 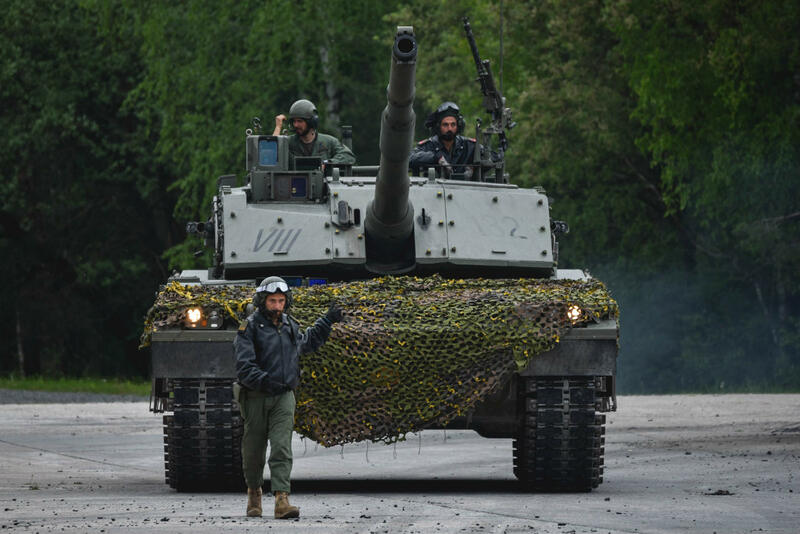 A Italian soldier leads an Ariete tank towards the firing range, during the Strong Europe Tank Challenge (SETC), at the 7th Army Joint Multinational Training Command’s Grafenwoehr Training Area, Grafenwoehr, Germany. 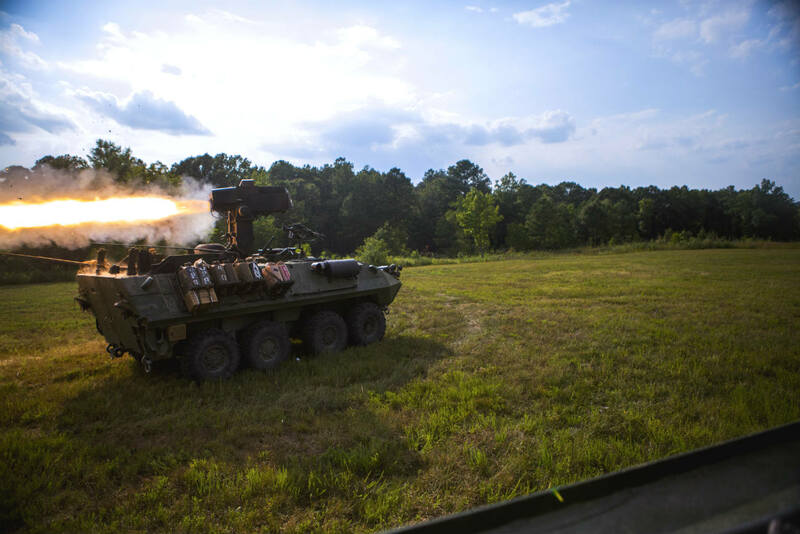 U.S. Marines with 2nd Light Armored Reconnaissance Battalion, Bravo Company, 2nd Marine Division, conduct a live-fire tube-launched optically tracked, wire guided missiles (TOW) range from a Light Armored Vehicle- anti tank missile carrier at Ft. Pickett, Va., Aug. 30, 2016. 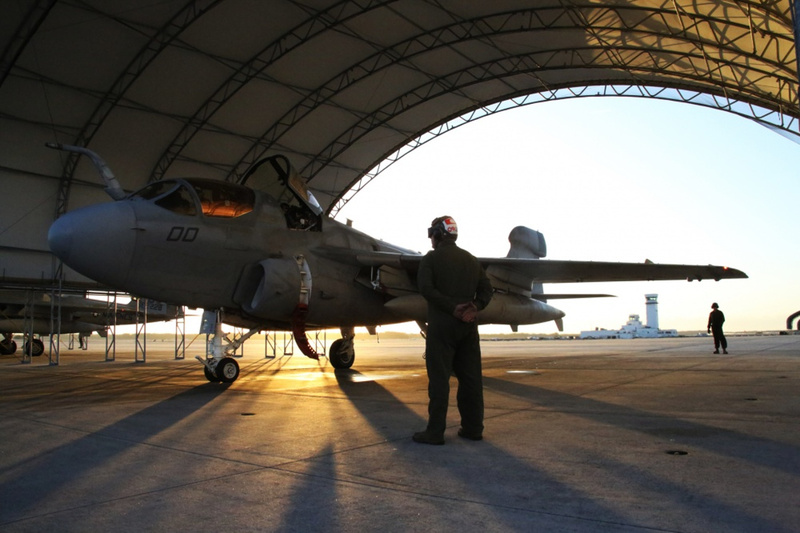 The Marines conducted live-fire exercises to maintain unit readiness and tactical proficiency. U.S. Marines with 2nd Light Armored Reconnaissance Battalion, Bravo Company, 2nd Marine Division, conduct a live-fire tube-launched optically tracked, wire guided missiles (TOW) range from a Light Armored Vehicle. These battle tank images were photographed by military veterans and service members. 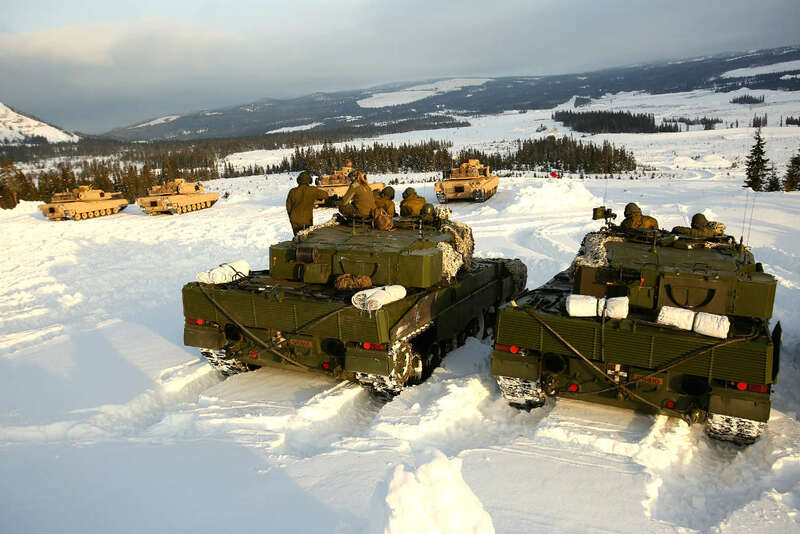 U.S. Marines practice cold weather driver training in M1A1 Abrams Main Battle Tanks in Setermoen, Norway, 7 to 9 Nov., 2016, to improve their ability to operate in mountainous and extreme cold weather environments. 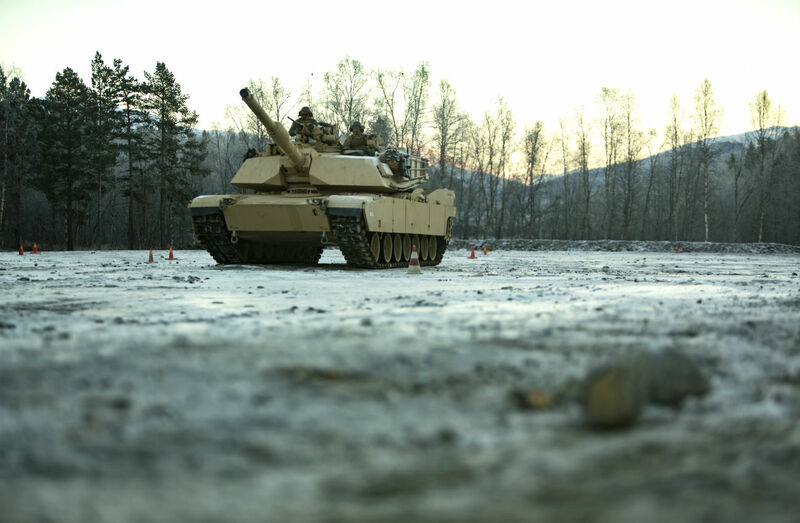 U.S. Marines practice cold weather driver training in M1A1 Abrams Main Battle Tanks in Setermoen, Norway. 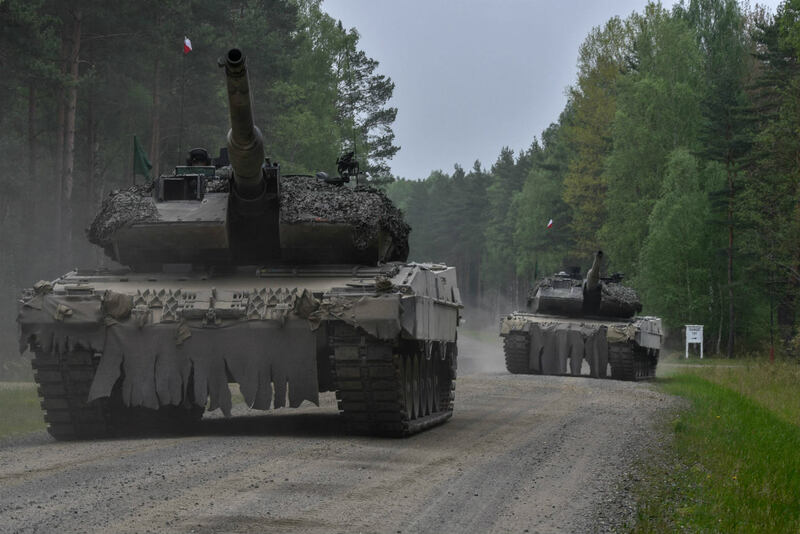 Polish Leopard 2A5 tanks, belonging to the 34th Armor Cavalry Brigade, moves to their battle position, during the Strong Europe Tank Challenge (SETC), at the 7th Army Joint Multinational Training Command’s Grafenwoehr Training Area, Grafenwoehr, Germany, May 12, 2016. The SETC is co-hosted by U.S. Army Europe and the German Bundeswehr, May 10-13, 2016. The competition is designed to foster military partnership while promoting NATO interoperability. Seven platoons from six NATO nations are competing in SETC - the first multinational tank challenge at Grafenwoehr in 25 years. 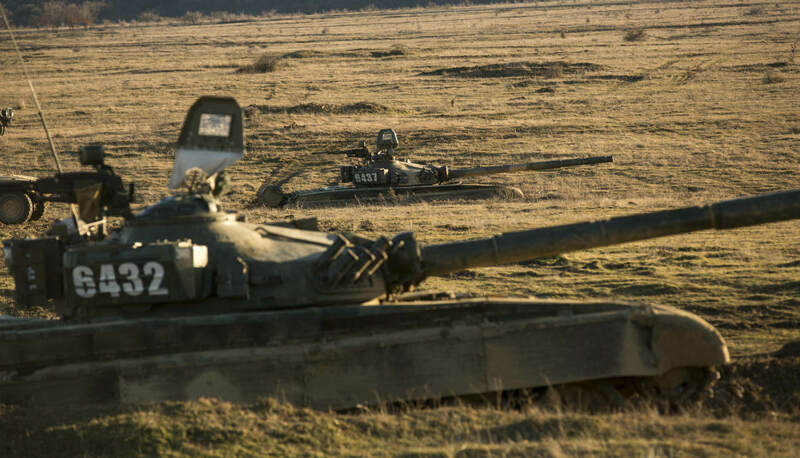 Polish Leopard 2A5 tanks, belonging to the 34th Armor Cavalry Brigade, moves to their battle position, during the Strong Europe Tank Challenge (SETC), at the 7th Army Joint Multinational Training Command’s Grafenwoehr Training Area, Grafenwoehr, Germany. A Main Battle Tank from Coldsteel Troop, 1st Squadron, 11th Armored Cavalry Regiment scans the objective, looking for enemy combatants, during NTC rotation 17-01, at the National Training Center, Oct. 2016. 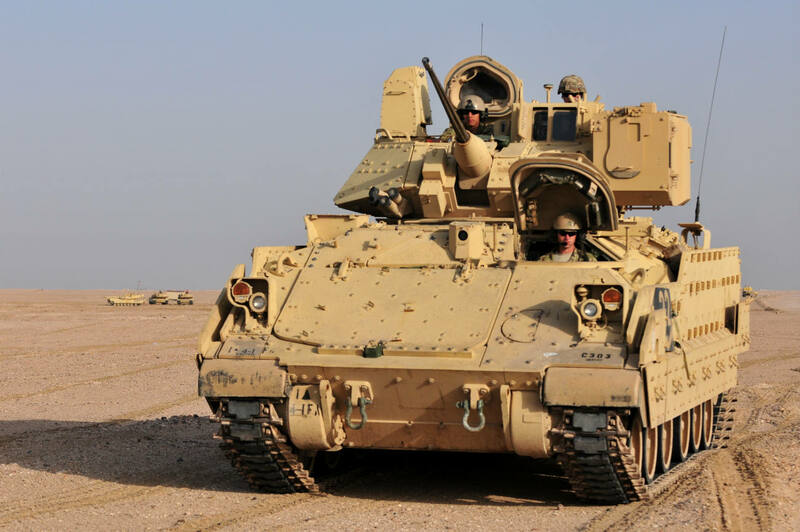 The purpose of this phase of the rotation was to challenge the 3rd Armored Brigade Combat Team, 1st Cavalry Division’s, ability to defend an objective, in open and urban battlefields, against conventional and hybrid threats. A Main Battle Tank from Coldsteel Troop, 1st Squadron, 11th Armored Cavalry Regiment scans the objective, looking for enemy combatants, during NTC rotation 17-01, at the National Training Center. U.S. Marines with Company B, 2nd Tank Battalion, fire a 120mm smoothbore main gun from an M1A1 Abrams Main Battle Tank during a live-fire exercise at Range SR-10, Camp Lejeune, N.C., Jan. 28, 2016. 2nd Tank Battalion conducted marksmanship qualifications during a month-long field exercise. U.S. Marines with Company B, 2nd Tank Battalion, fire a 120mm smoothbore main gun from an M1A1 Abrams Main Battle Tank during a live-fire exercise at Range SR-10, Camp Lejeune, N.C. These battle tank images were photographed by military veterans and service members. 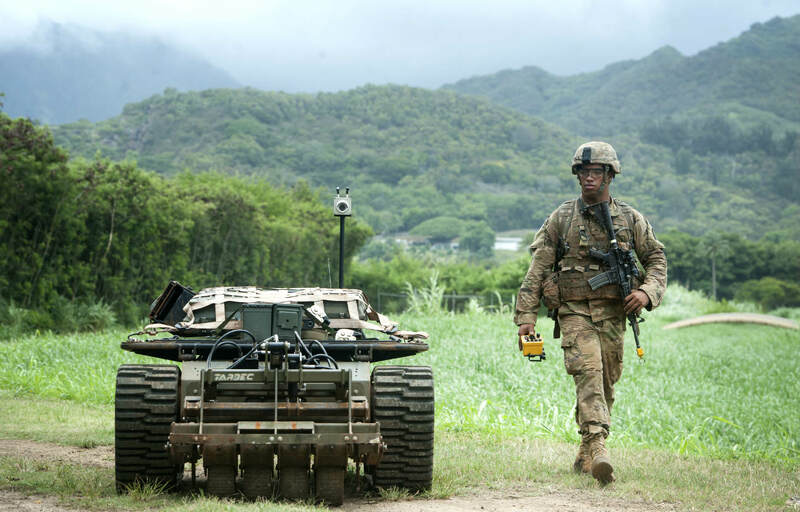 A U.S. Army Pacific Soldier moves down a road while controlling an unmanned vehicle as part of the Pacific Manned Unmanned – Initiative July 22, 2016, at Marine Corps Training Area Bellows, Hawaii. 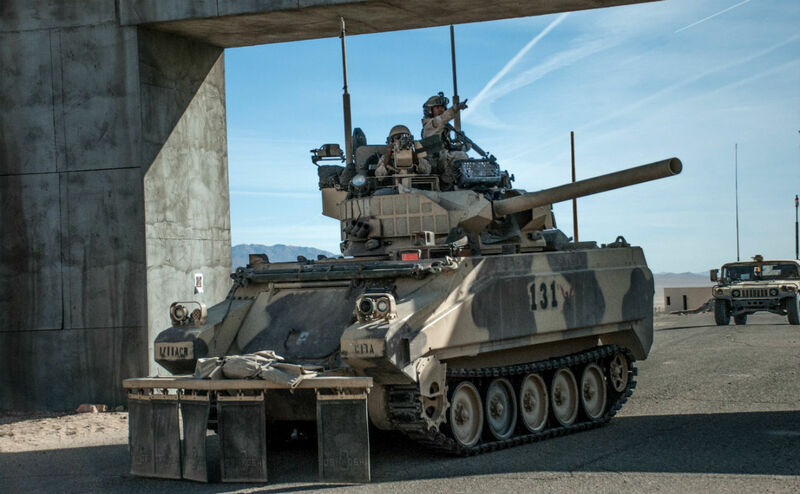 PACMAN-I provided an opportunity for Soldiers, partnered with organizations and agencies such as the Maneuver Center of Excellence and the U.S. Army Tank Automotive Research Development and Engineering Center, to test new technology in the field during practical exercises. A U.S. Army Pacific Soldier moves down a road while controlling an unmanned vehicle as part of the Pacific Manned Unmanned Initiative. Picture shows a German Army Leopard 2A6 participating in the Strong Europe Tank Challenge (SETC), May 08, 2016 at Grafenwoehr Training Area, Germany. The SETC is co-hosted by U.S. Army Europe and the German Bundeswehr May 10-13, 2016. The competition is designed to foster military partnership while promoting NATO interoperability. 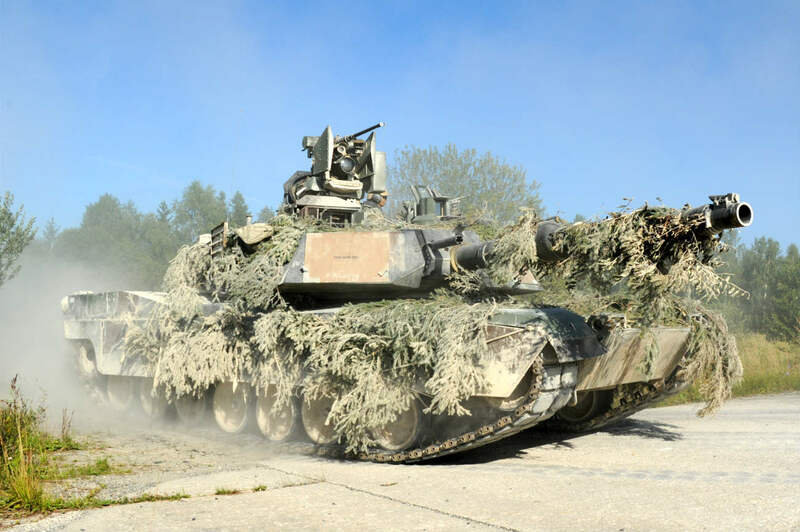 Seven platoons from six NATO nations are competing in SETC - the first multinational tank challenge at Grafenwoehr in 25 years. German Army Leopard 2A6 participating in the Strong Europe Tank Challenge (SETC), May 08, 2016 at Grafenwoehr Training Area, Germany. A Leopard 2 A5 Main Battle Tank fires at targets during the Nordic Tank Challenge’s live fire event May 26, 2016. 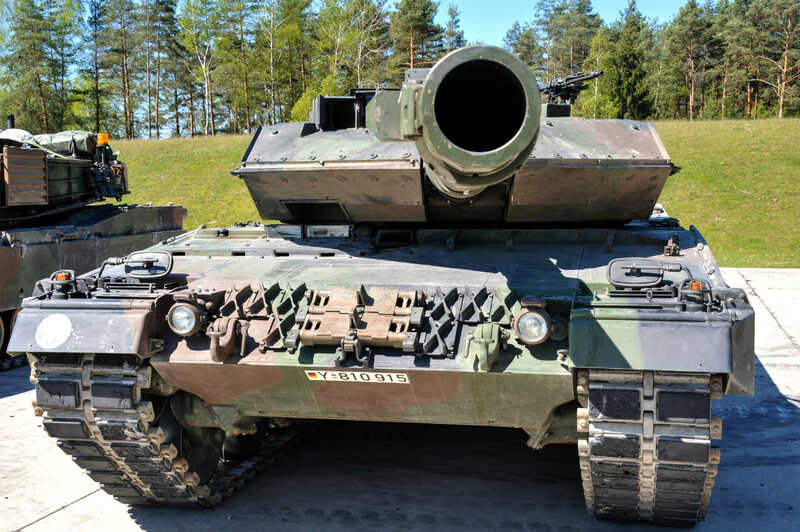 The Nordic Tank Challenge is a multi-national competition comprised of several events designed to test the knowledge and physical fitness of participating tank crews. 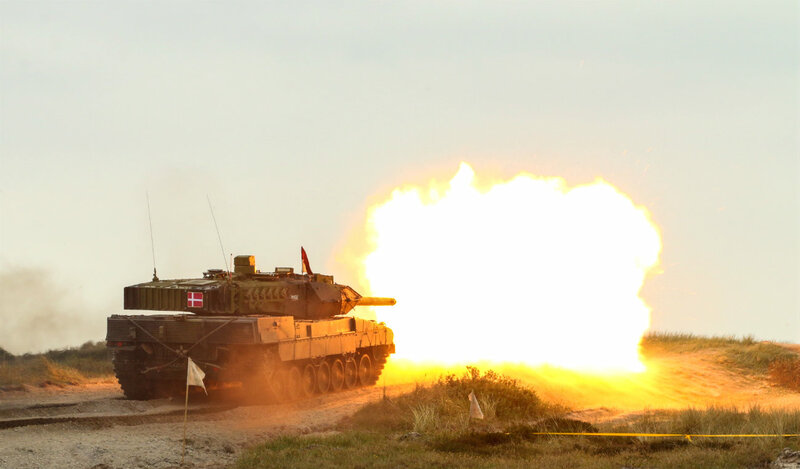 A Leopard 2 A5 Main Battle Tank fires at targets during the Nordic Tank Challenge’s live fire event. U.S. Army and Kuwaiti Land and Air forces move to engage targets during a joint combined arms live-fire exercise near Camp Buehring, Kuwait Dec. 6-7, 2016. The multi-day exercise was designed to test the efficiency of the forces abilities to identify and eliminate enemies’ anti-aircraft capabilities. 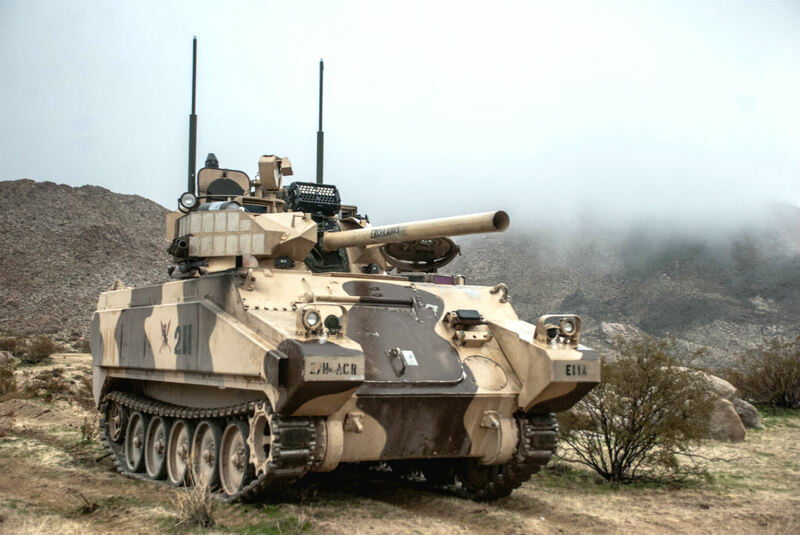 Around 30 M1 Abrams Main Battle Tanks, two Kuwaiti AH-64 Apache helicopters, Several Bradley Armored Fighting Vehicles, scout sniper teams, 120mm mortar teams, and M109 Self Propelled Howitzer artillery fire, assaulted mock enemy positions during the exercise. U.S. Army and Kuwaiti Land and Air forces move to engage targets during a joint combined arms live-fire exercise near Camp Buehring, Kuwait. These battle tank images were photographed by military veterans and service members. Tank crewmen of Company A, 4th Tank Battalion, load ammunition into M1A1 Abrams Main Battle Tanks before their pre-qualification tank gunnery through Range 500, Aug. 4, 2015. Tank crews must pass their tank gunnery exercise on a yearly basis and the company performed its qualifications in the days to follow. Tank crewmen of Company A, 4th Tank Battalion, load ammunition into M1A1 Abrams Main Battle Tanks before their pre-qualification tank gunnery through Range 500. Marines with 1st Tank Battalion fire the M1A1 Abrams tank during the 11th Annual Tank Gunnery Competition at Range 500, Feb. 20. The competition was divided into six segments to test the skills of the tank crewmen. Marines with 1st Tank Battalion fire the M1A1 Abrams tank during the 11th Annual Tank Gunnery Competition at Range 500. U.S. Marines with the Combined Arms Company, Black Sea Rotational Force, Bulgarian and Romanian Forces conduct a joint exercise utilizing Bulgarian and U.S. main battle tanks, indirect fire, mechanized infantry, and close air support from U.S. Air Force assets during Platinum Lion 16-2 at Novo Selo Training Area, Bulgaria, Jan. 15, 2016. Exercise Platinum Lion increases readiness and demonstrates our collective ability to operate as a single force committed to protecting the sovereignty of NATO allies and other European partners. U.S. Marines with the Combined Arms Company, Black Sea Rotational Force, Bulgarian and Romanian Forces conduct a joint exercise. M1A1 Abrams Tanks fire their main guns as Norwegian Leopard 2 tank crews observe as a part of a live-fire exercise in Rena, Norway, Feb. 18, 2016. The Marines are preparing for Exercise Cold Response 16, which will bring together 12 NATO Allied and partner nations and approximately 16,000 troops in order to enhance joint crisis response capabilities in cold weather environments. The Norwegian Telemark Battalion instructed various U.S. Marine units on cold weather survival techniques to driving armored vehicles on ice-covered roads in the weeks leading up to exercise Cold Response 16 beginning at the end of the month. The two nations along with the other participating countries will conduct multi-lateral training to improve U.S. Marine Corps capability to operate in cold-weather environments. M1A1 Abrams Tanks fire their main guns as Norwegian Leopard 2 tank crews observe as a part of a live-fire exercise in Rena, Norway. These battle tank images were photographed by military veterans and service members. U.S. Soldiers with 2nd Battalion, 7th Infantry Regiment, 1st Armored Brigade Combat Team, 3rd Infantry Division, move down range in an M1A2 Sepv2 Abrams Main Battle Tank during exercise Combined Resolve VII at the 7th Army Training Command in Grafenwoehr, Germany, Aug. 18, 2016. Combined Resolve is a U.S.-led combined arms exercise designed to prepare U.S. and European forces for multinational operations. The exercise is designed to train the Army’s regionally allocated forces to the U.S. European Command. Combined Resolve VII includes more than 3,500 participants from 16 NATO and European partner nations. U.S. 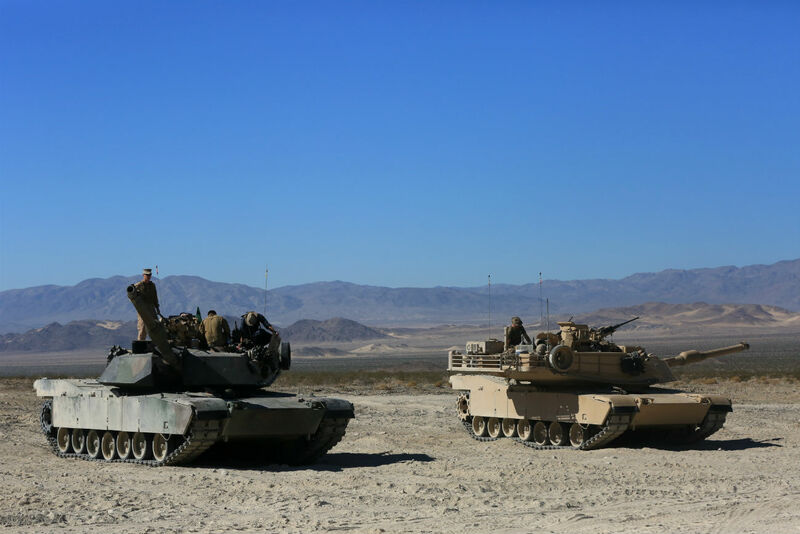 Soldiers with 2nd Battalion, 7th Infantry Regiment, 1st Armored Brigade Combat Team, 3rd Infantry Division, move down range in an M1A2 Sepv2 Abrams Main Battle Tank. Crossing over a floating bridge April 6, Soldiers drive 68-ton M1A2 Abrams Main Battle Tanks and 27-ton M2A3 Bradley Infantry Fighting Vehicles, across the Imjin River. Soldiers from the 2nd Battalion, 8th Cavalry Regiment, 1st Armored Brigade Combat Team, 1st Cavalry Division, crossed the bridge assembled by 74th Multi-Role Bridge Company ‘RiverRats,’ 62nd Engineer Battalion, 36th Engineer Brigade as part of a four-day, combined arms river crossing exercise. 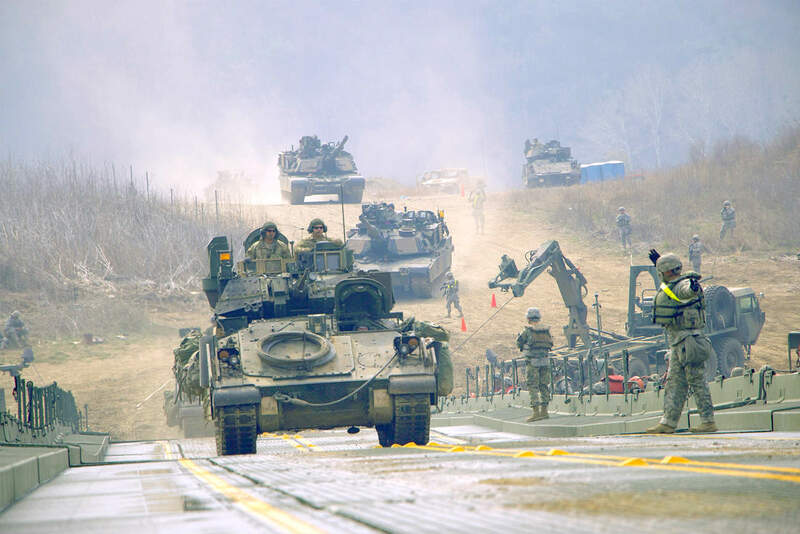 Crossing over a floating bridge, soldiers drive 68-ton M1A2 Abrams Main Battle Tanks and 27-ton M2A3 Bradley Infantry Fighting Vehicles, across the Imjin River. U.S. Soldiers with 2nd Battalion, 7th Infantry Regiment, 1st Armored Brigade Combat Team, 3rd Infantry Division, move down range in their M1A2 Sepv2 Abrams Main Battle Tank during exercise Combined Resolve VII at the 7th Army Training Command in Grafenwoehr, Germany, Aug. 18, 2016. Combined Resolve is a U.S.-led combined arms exercise designed to prepare U.S. and European forces for multinational operations. The exercise is designed to train the Army’s regionally allocated forces to the U.S. European Command. Combined Resolve VII includes more than 3,500 participants from 16 NATO and European partner nations. U.S. Soldiers with 2nd Battalion, 7th Infantry Regiment, 1st Armored Brigade Combat Team, 3rd Infantry Division, move down range in their M1A2 Sepv2 Abrams Main Battle Tank during exercise Combined Resolve VII at the 7th Army Training Command in Grafenwoehr, Germany. A tank from 1st Battalion, 163rd Infantry Regiment, Montana Army National Guard, races by an observer-controller HUMVEE while participating in Exercise Saber Guardian 16 at the Romanian Land Force Combat Training Center (RLF-CTC), July 30. Saber Guardian is a Romanian and U.S. Army Europe-led exercise designed to promote regional stability and security, while strengthening partnership capacity, and fostering trust while improving interoperability between Romania, the U.S., NATO and Partnership for Peace member nations. 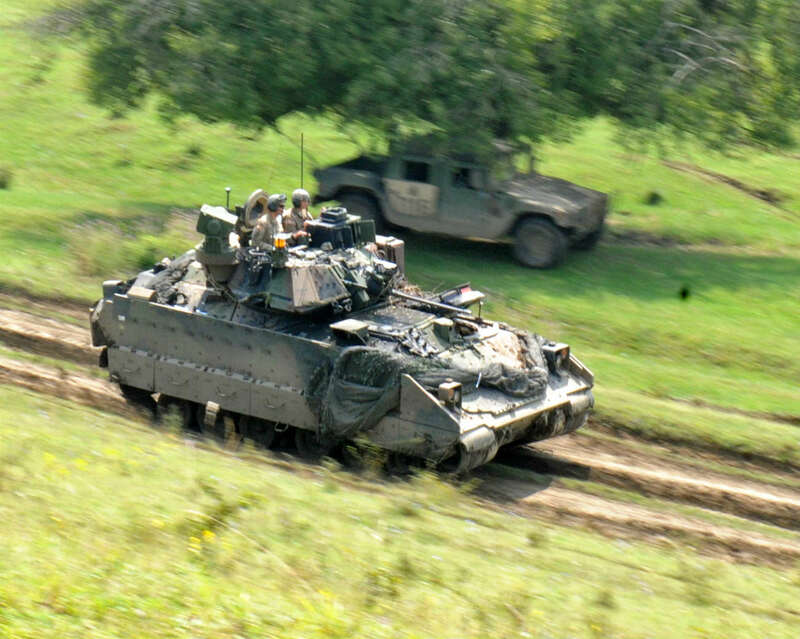 A tank from 1st Battalion, 163rd Infantry Regiment, Montana Army National Guard, races by an observer-controller HUMVEE while participating in Exercise Saber Guardian 16 at the Romanian Land Force Combat Training Center. 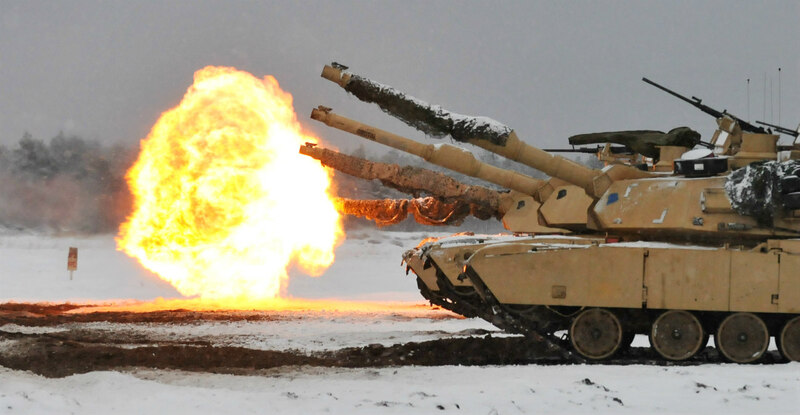 These battle tank images were photographed by military veterans and service members. Soldiers with 3rd Battalion, 69th Armor Regiment, participate in a tank shoot rehearsal as preparation for a live-fire tank shoot at Novo Selo Training Area, Bulgaria. You might also like the Bell AH-1Z Viper attack helicopter. 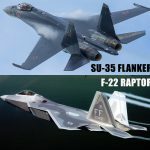 See all military images.